I had a day off from work the other day, and instead of just wasting it away I chose to use it productively and give some more love to the MX5. 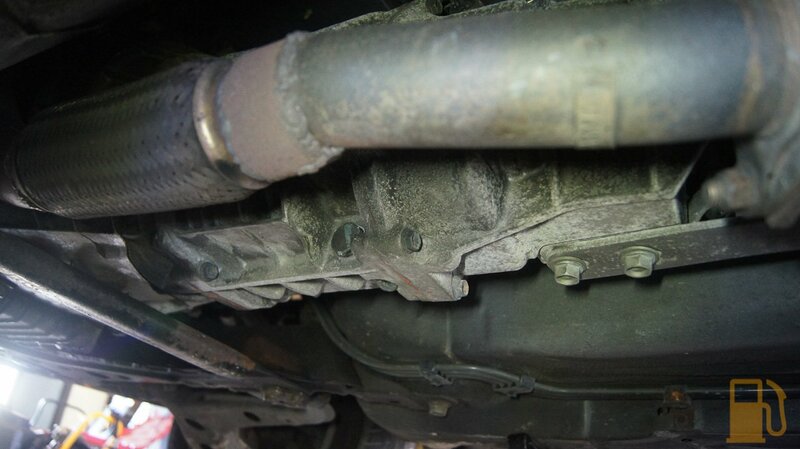 When I purchased the MX5 I asked the seller when it was last serviced, he responded with “I dunno, I haven’t done it”. That’s reassuring. 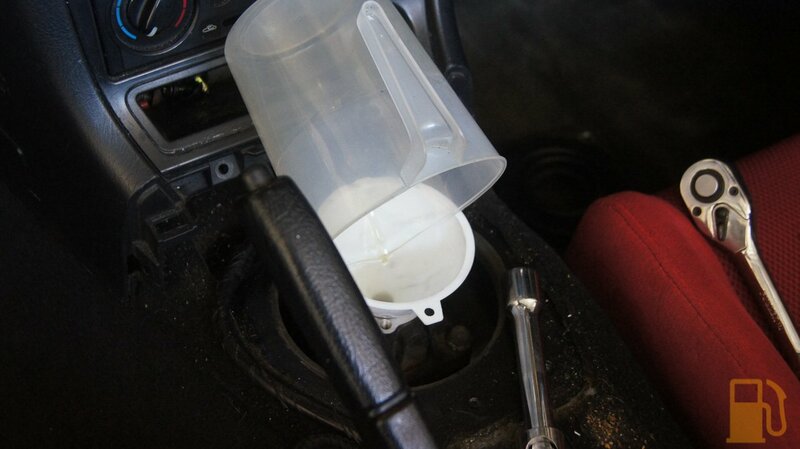 The oil was low when I got the car so I used some random oil I had to top it up, just to keep it going. 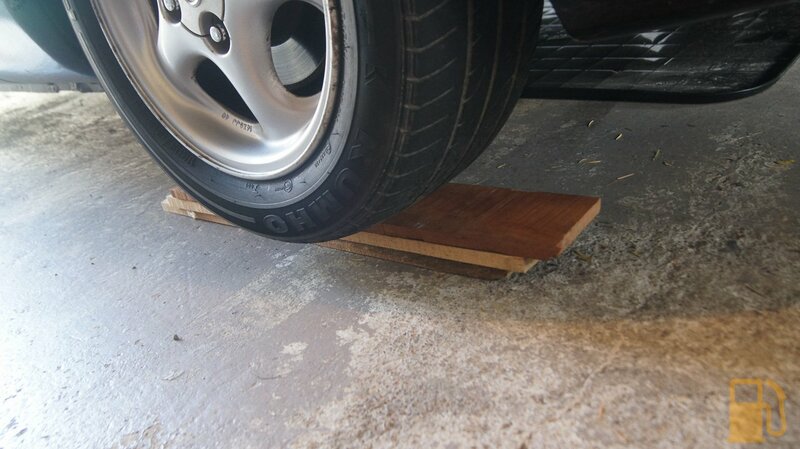 Being such a low car I couldn’t even get my low profile jack under the car. 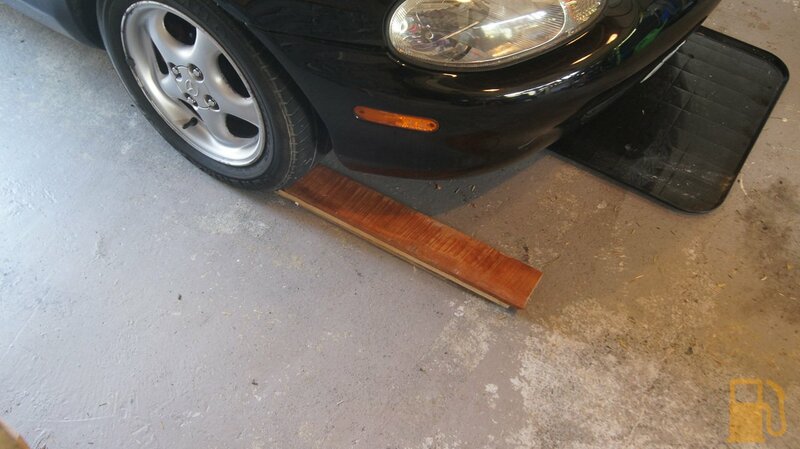 Using some strategically placed bits of wood I managed to just squeeze the jack under the bumper. 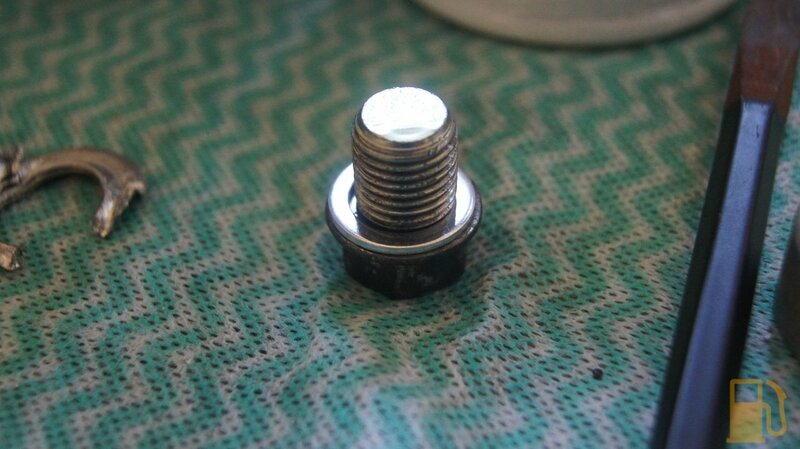 The sump plug, 17mm, was pretty tight and obviously hadn’t been out in a while. 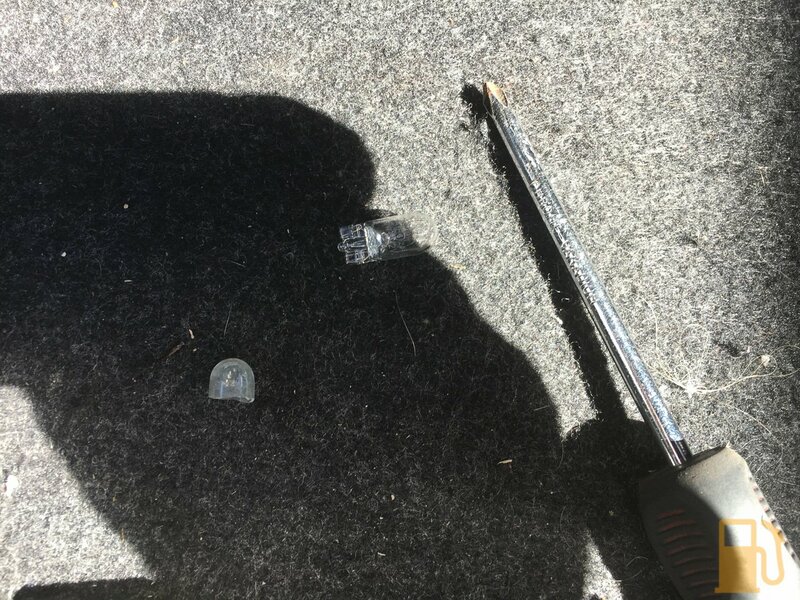 Once out the crush washer was a complete prick to get off, it was so crushed I had to use cutters and a chisel to remove it. Maybe reused multiple times? The oil that came out was jet black. Thankfully no signs of metal or chunks, but it must have been well overdue for a change. I chose to try a method that I had heard of being used before. 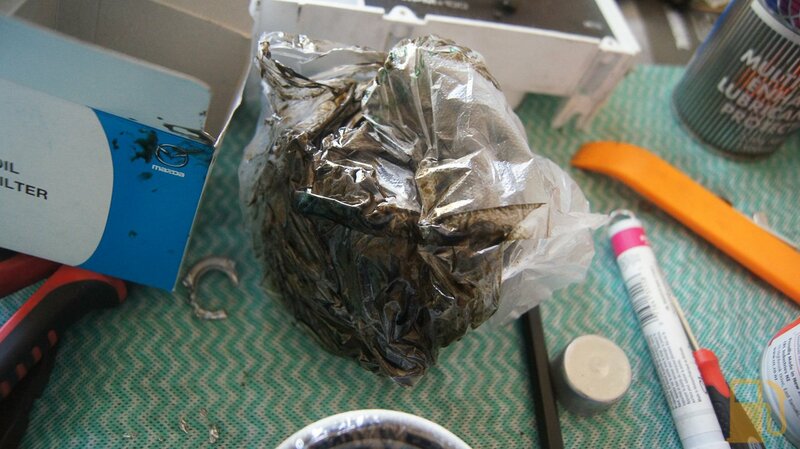 Covering the filter in a small plastic bag, unscrewing it and dropping it into the bag and removing it. 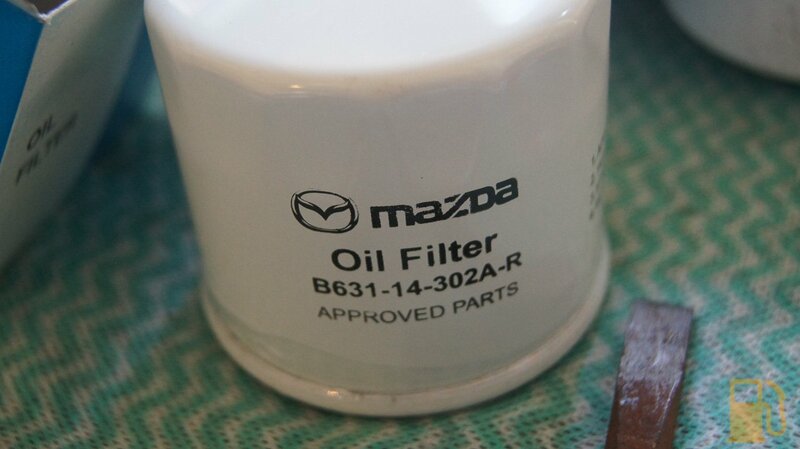 This kinda catches the oil and the filter. I still made a mess on the crossmember, but I don’t doubt this helped make less mess than I would have otherwise. 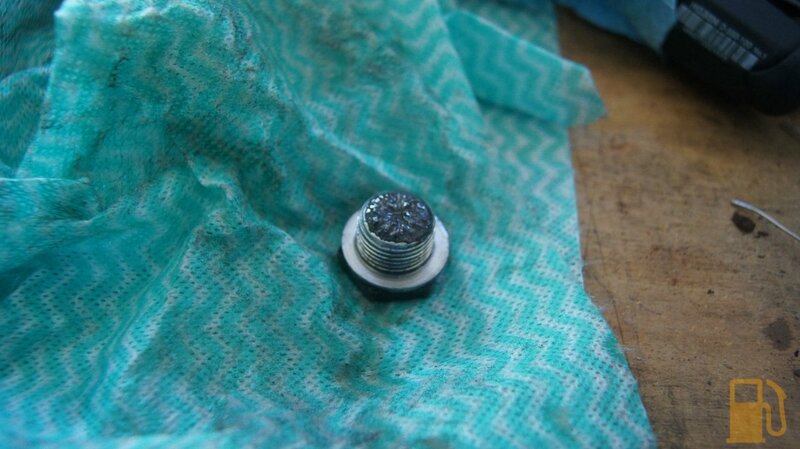 New washer went on the sump plug, and the new filter was partly filled with fresh oil and on it went. There aint a lot of space to get the filter in and out though. 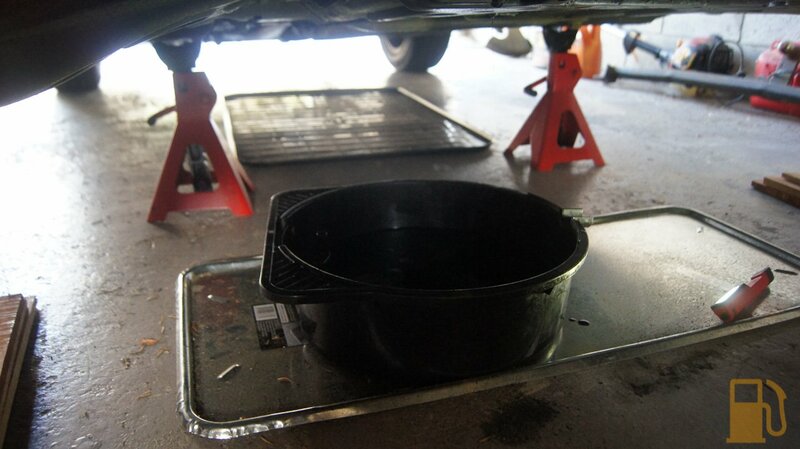 I filled the engine back up with around 3.8L of 10W40 Semi-Synthetic oil, and moved onto the transmission. 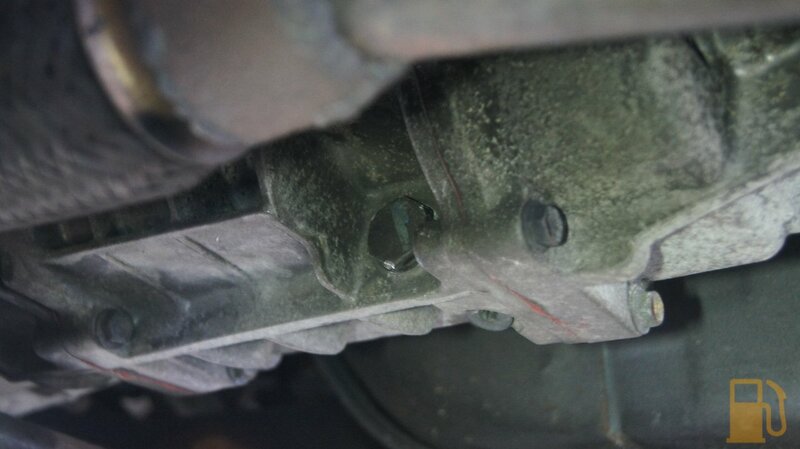 Another item I had no history on was the transmission oil. The trans crunches into 3rd sometimes, obviously it wasn’t happy. 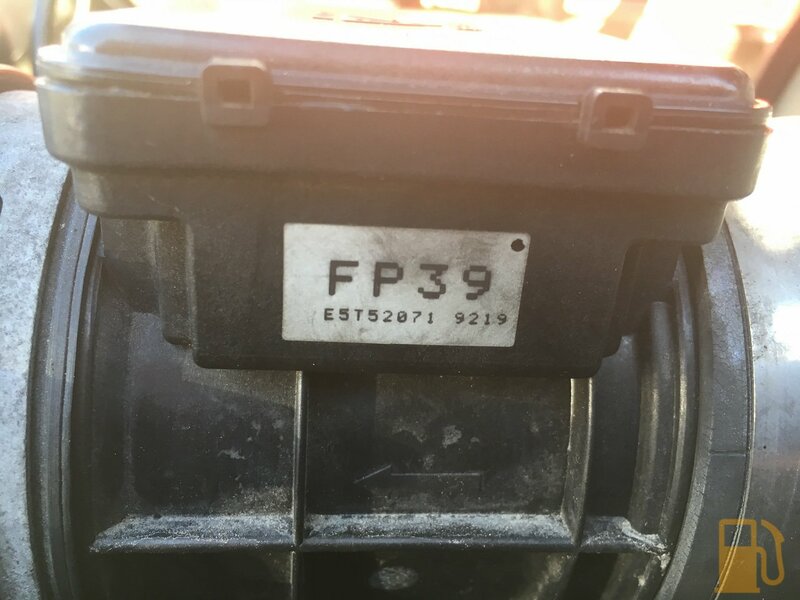 Over in the States they LOVE to use the genuine Motorcraft/Ford XT-M5-QS oil, and apparently it’s like magical unicorn blood for the 6 speed boxes. Unfortunately it doesn’t appear to be stocked here, and the local dealer had no idea what I was asking for so I chose to go with a different fluid. 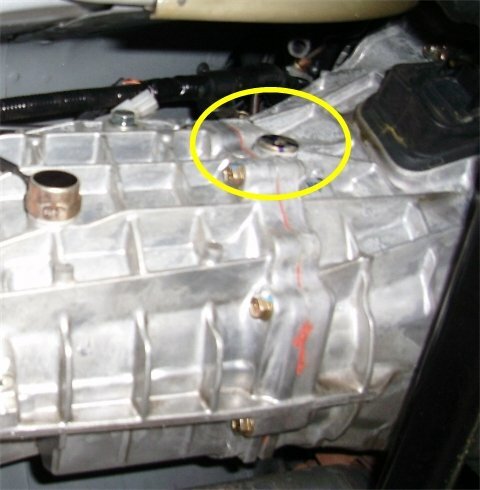 It MUST be a GL4 oil in the 6 speed, as the later/newer GL5 spec oil will cause damage to “yellow metals” such as the syncros in the 6 speed gearbox. 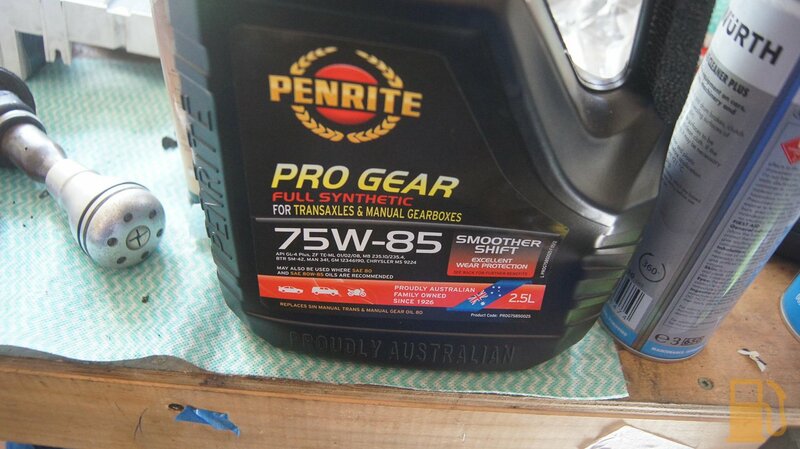 I chose a fully synthetic Penrite Pro Gear fully synthetic 75W85 transmission fluid. It’s reasonably priced, comes in 2.5L bottles and is GL4 spec. The fill plug is above it, slightly towards the front of the car. 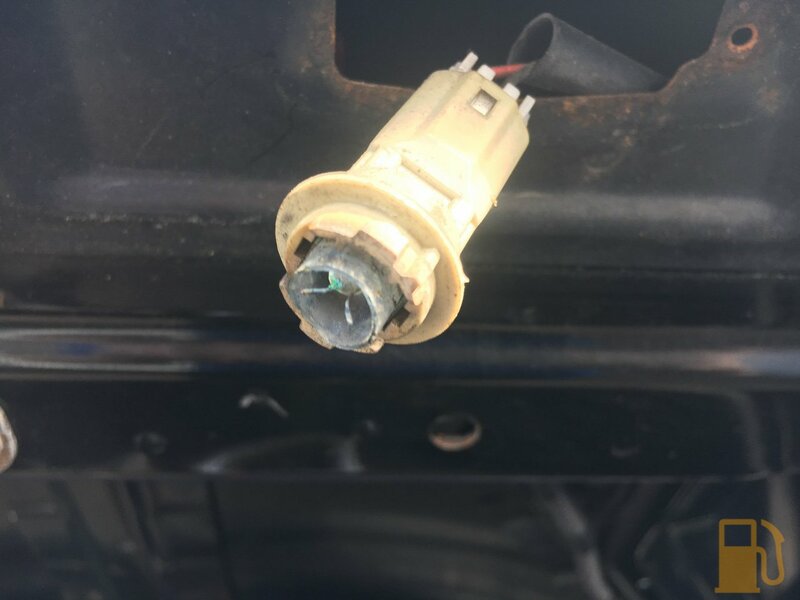 The rule is to always remove the fill plug first, but in my case I didn’t remove it at all as I was planning on filling via the shifter turret in the car. 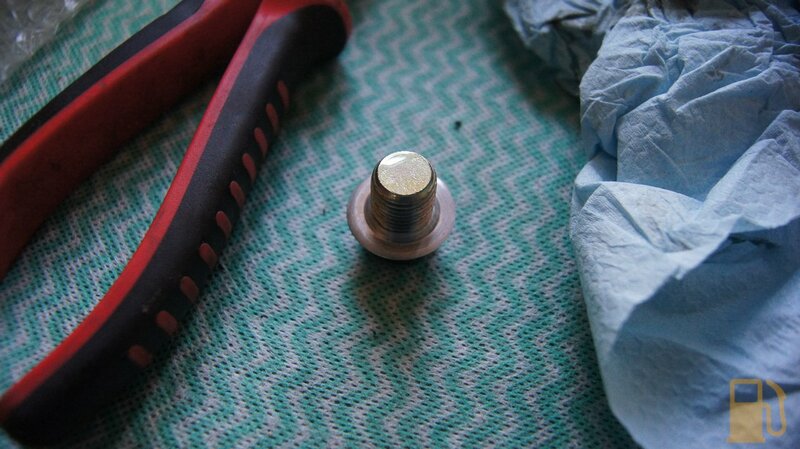 My drain plug was SUPER hard to remove, like it probably hadn’t been done since new. With some leverage and hammerage, it came free and out came the oil. 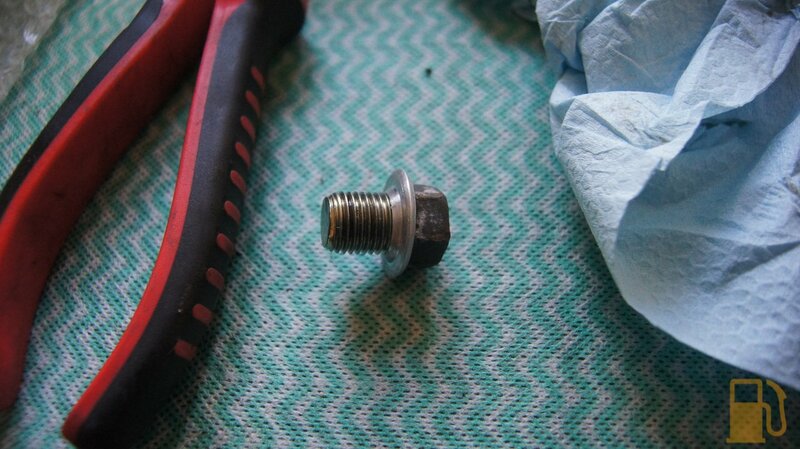 The drain plug has a magnet on the end to catch bits of metal as they fly around the transmission. 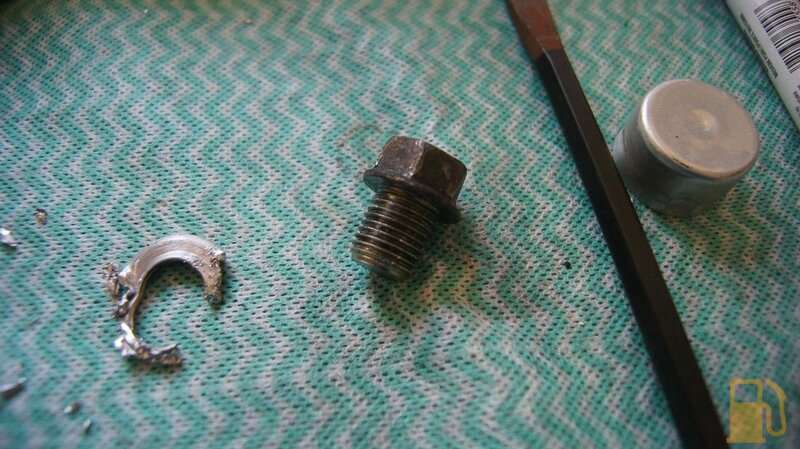 Mine only had a coating of very fine metal sludge, no chunks. It’s normal, it’s a win. 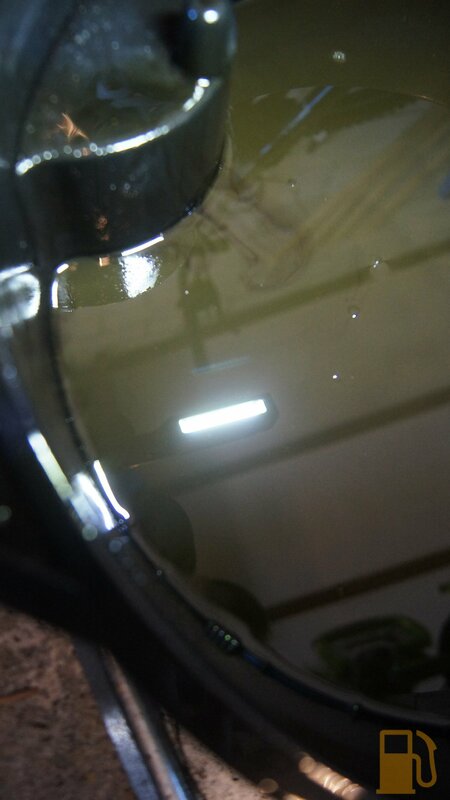 The old oil was thick, cloudy and dark. A long way off the clear light brown oil that went in. Slightly under 2L came out, which is about what I expected. To fill the transmission from the turret you need to have the center console removed. Thankfully mine was out already, so this was easy. 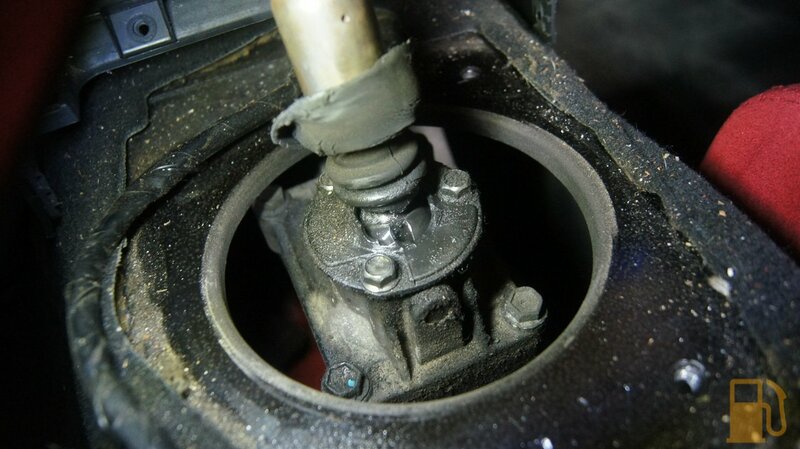 Four 10mm bolts remove the top boot, and then three more 10mm bolts remove the lower boot and the shifter will then pull out. 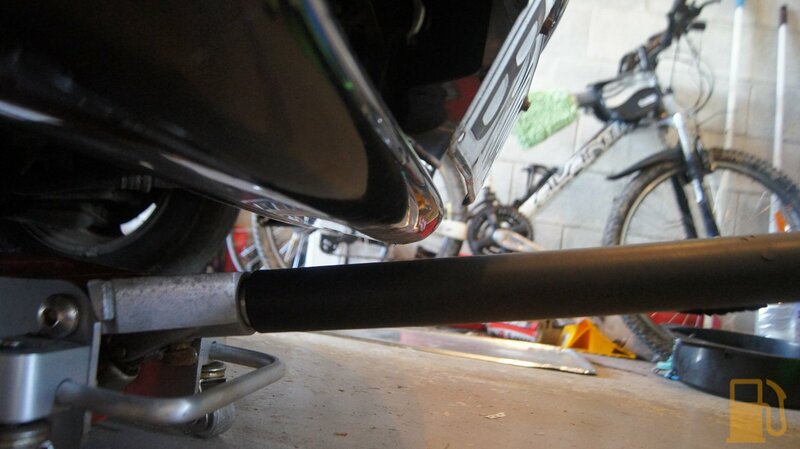 It leans slightly to the left, remember that for refitting. 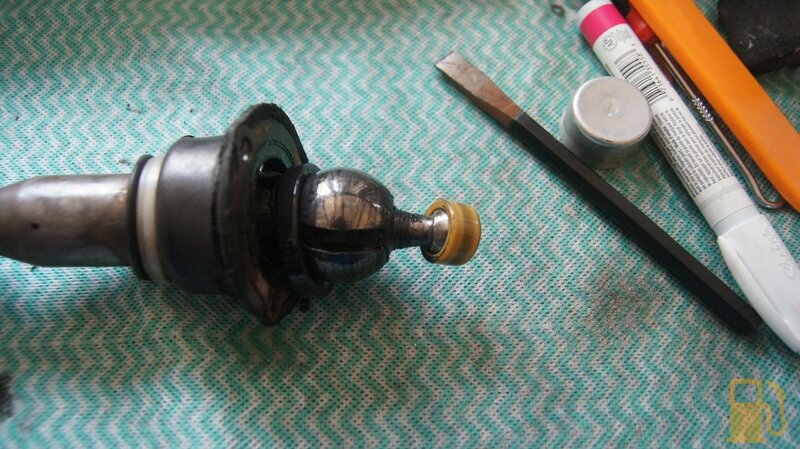 Whilst the shifter was out I chose to replace the nylon bushing on the end. Mine was in good shape but I had a replacement already. I reassembled, and put the center console back in the car. Before I could take it for a spin though I needed to fit another part I had sourced. 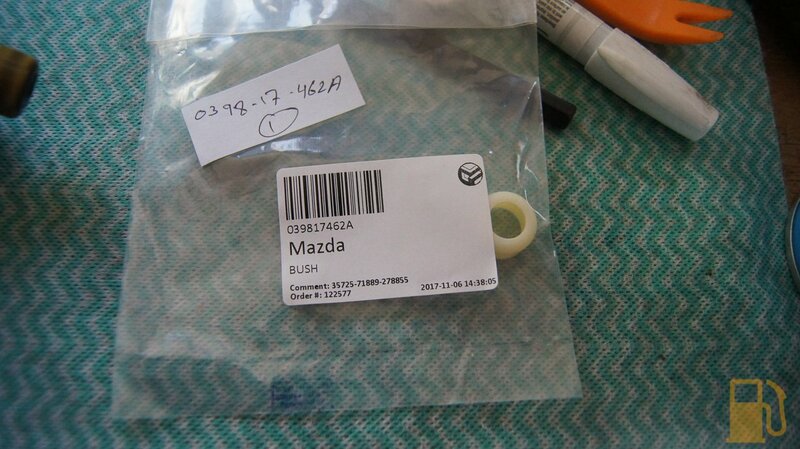 Earlier in the day I popped into Pick A Part as they had a selection of Mazdas that I wanted to check out. 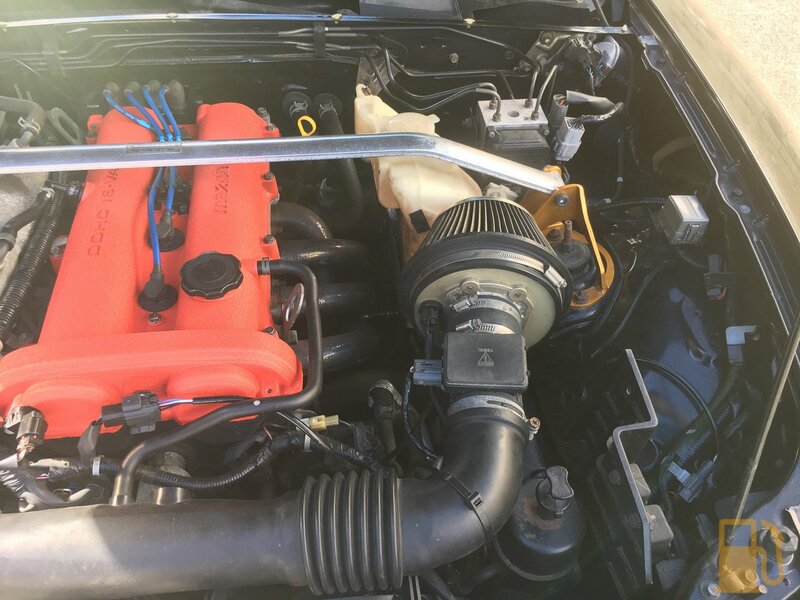 My MX5 has had a weird issue with the idle since I got it. It’ll drive and idle fine but all of a sudden the idle will drop down to almost stalling and then recover. It has no codes, and altering the base idle changed nothing. One of the things I read that could cause it was a failing Mass Air Flow meter, or MAF (also known as an AFM, Air Flow Meter). 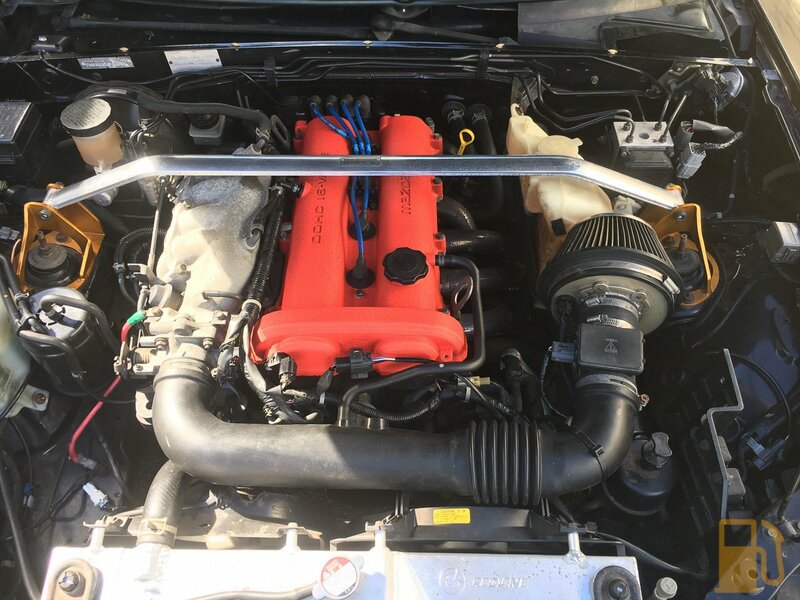 I knew they had no NB MX5s there, but according to the interwebs the MAF was used on a couple of different Mazdas. I found one with the same E5T number on a Mazda Capella wagon, so grabbed that. I also grabbed a spare idle control valve off a Familia just in case. The MAF is quick and easy to change, so a swapped that first. 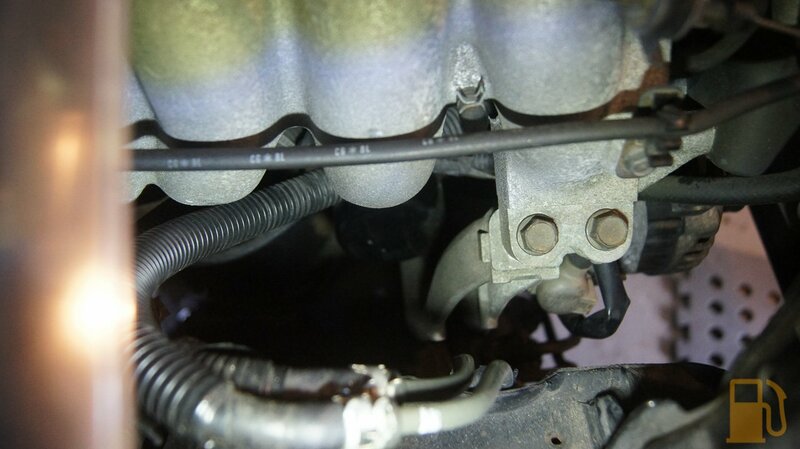 I also moved the air filter over and up slightly, to move it away from the exhaust manifold. The MAF was a direct replacement, and with my testing so far, it appears to have fixed the random idle drop issue. I have driven it a couple of times since, and idled it a lot, and not once has the idle dropped. Very happy with that. The engine seems a tad quieter when running, but for now at least, the transmission seems to be operating the same. Hopefully it might get better. With that swapped out I think I’m ready for a WOF now. It’s all booked in, so we will see. 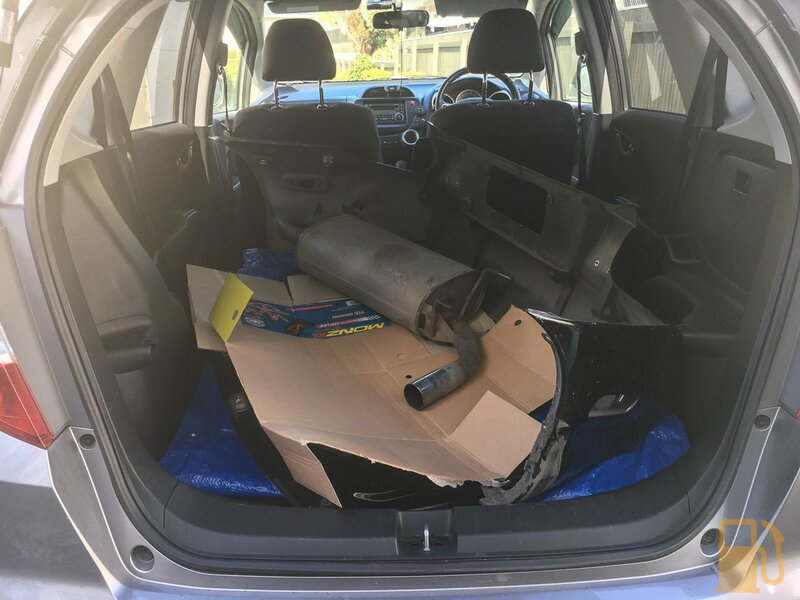 I also picked up a replacement rear bumper, boot lid and muffler from the same guy I got the soft top from. It’s all the correct colour, and should make for a good “upgrade” from the rubbish on the car now. I was going to fix the bumper and boot lid, but it just wasn’t worth it. isn’t it 1.8L for 6 speed? Depends on the source of information. 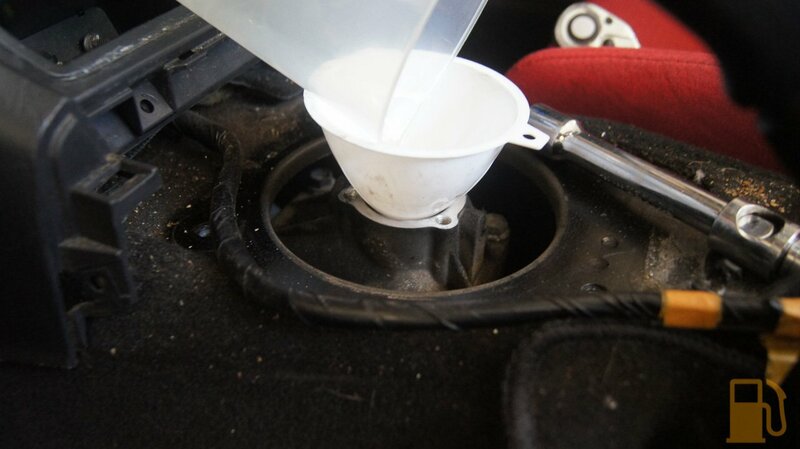 Most UK forums will round up to 2L without issue, most US forums will say 1.9qts (1.8L or so). The workshop manual specifies 1.8L for 6spd. Just under 2L (over 1.8L) came out of the box when I drained it. 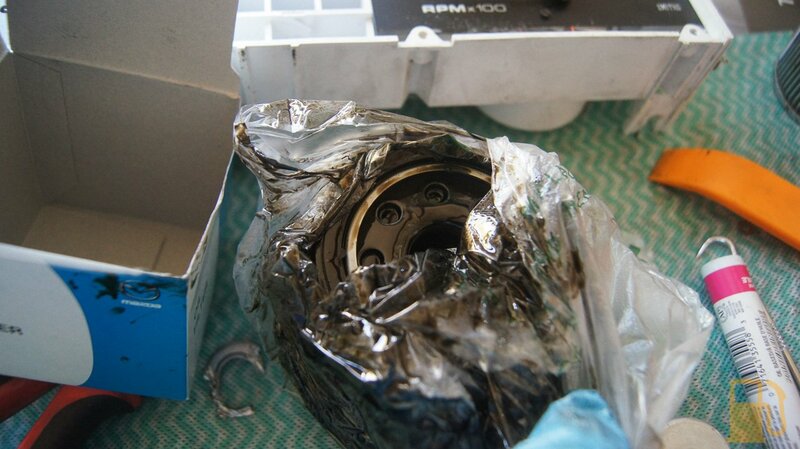 The gearbox action has noticeably improved since the oil change.